URL filtering is the linchpin of effective web access control, although URL-filtering databases are now largely commoditized. 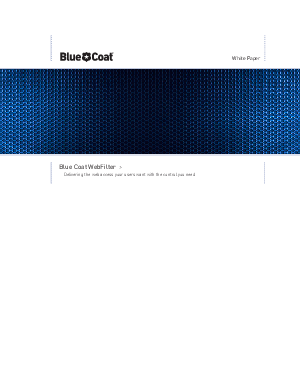 Blue Coat WebFilterT, with its cloud-connected architecture and inputs from a worldwide community of users, is best-in-class for web threat protection. But content filtering databases have another key role to play: control of Internet use.